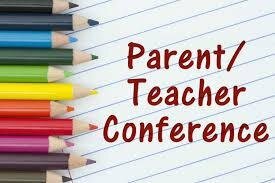 Parent Teacher Conferences are October 18, 2018 from 1:00-6:00 p.m. Early bus riders and car riders will be dismissed at 11:30. Late bus riders will leave approximately at 12:00.